I’ve worked through all types of pain points and concerns with countless hostel owners to create a strong foundation built for success, maximize profits and alleviate stress triggers. If when assessing your hostel idea you ask, “What am I missing?”or “How can I improve my opportunities for success and minimize potential problems?”, you are in good company. The best and most profitable hostels make sure to ask and address these types of questions from the beginning. In fact, doing so is a sign that you are priming yourself for a profitable hostel business. Here is a simple 5-step plan to help ensure your hostel prospers, which can also inform much of your business plan. For your hostel to succeed, it requires a clear and consistent concept. It should align every single detail that will make up your hostel to convey one consistent idea. We can kick off with identification of your source of inspiration. Getting inside the minds of travellers and hostel guests – in particular, what they really want from a hostel – is key. If you have stayed at hostels, you can ask what you were drawn to and what turned you off. What would you have liked to see as a hostel guest? Where did hostels impress you and let you down? The internet provides an incredible range of resources to understand how hostel guests think. You can study hostel review websites, forums and online travel agency websites for guest feedback. In particular, looking at the reviews of the hostels that will be your competitors can be especially insightful. Armed with information gleaned from studying such customer feedback, you can better create a concept to wow your guests and outperform your competition. A hostel addresses a target cohort that wants to spend a limited amount of money. Added to this, competition is fierce for the hostel sector. With these two undercurrent factors in mind, differentiation via a unique concept is arguably more important than ever before. Therefore your concept can be your most important USP. But how exactly do you come up with one that sells? Include a free, quality breakfast. Buying inexpensive products in bulk such as cereal, cold cuts and fruit can trim produce costs, and the breakfast add-on can boost reservations. Some hostel guests actively search for private rooms. It also offers an avenue to charge a higher price and increase revenues. While concepting is generally expensive, you can cut such costs by aiming to partner with a design school, academy or university. This way, students can propose design concepts for your hotel. Design educational institutions are usually eager to partner with companies to give their students real-world business exposure and experience. And while they may not be so experienced, students are often passionate, dedicated and eager to impress. The most successful hostels typically have a common area and bar that they are known for. Hostel guests often want to meet other guests. Your bar is your platform to make this happen and as a result, drive your revenues through food, beverage and entertainment sales. The bar itself can be an extension of your general concept or have its own complementary concept that attracts guests and even locals from the area. Cost analysis is necessary whatever your own situation. Whether you are a joint investor, it is a family venture or you are flying solo, working out the hostel’s set-up and required costs is essential. Insurance: this can include public liability insurance, professional indemnity insurance and employer’s liability insurance. You will be required to check your insurance obligations with the relevant national authorities. 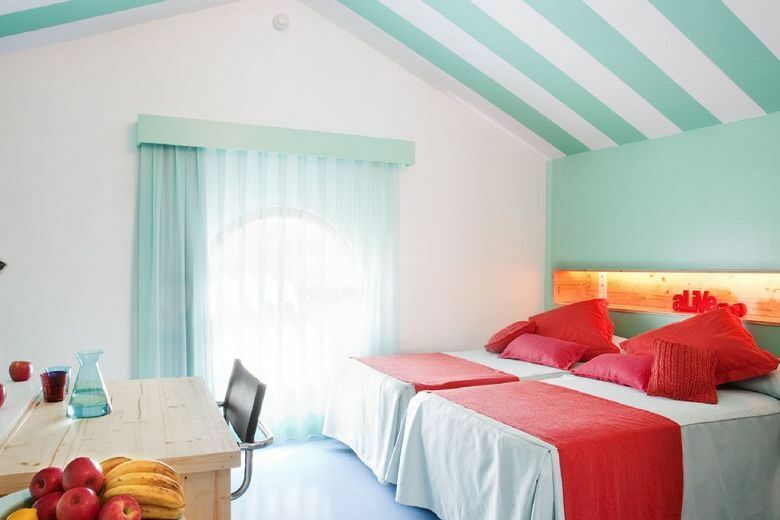 Hostels are known to be a location for budget-conscious travellers in which cleanliness is king. Here are some points to bear in mind that will help you cultivate strong relationships with your guests. Digital nomads travel around the world. They are often on the lookout for a work area as well as somewhere to relax and unwind. The number of families travelling is increasing. Those that are on a budget often look to hostels. Private family rooms with beds for children, a changing area and a microwave are therefore in increasing demand. Solo travellers tend to choose hostels because unlike hotels they offer a much better opportunity to meet like-minded people, many of whom may also be travelling alone. Travel is multinational and multicultural. Therefore, if you want to attract people from far and wide, it is advised to accommodate different tastes, cultural mores and preferences. Activities should reflect your target market. For instance, if it is students, you may choose to host a movie night with drinks and snacks. Alternatively, if it is young professionals or digital nomads,you may elect to organize business and innovation meetups, professional guest speaker events or even speed dating. A small shop that provides essentials and entertainment options such as movie rentals meets traveller needs and of course augments your revenues. Reputation is critical to a hostel’s success. One way to grow and maintain a strong reputation is by joining hostel networks that provide a seal of approval. Being part of an organization that is internationally recognized such as Hostelling international will show your potential guests that your hostel is committed to certain standards in service provision. Partnering with local businesses whose services complement your own. For instance, if your target market is digital nomads, partnering with co-working offices to promote each other’s businesses and offer promotions can offer a viable route to success. Contacting language schools to offer in-hostel classes. Developing relationships with local startups and businesses on the lookout for short-term hires. Contacting your local council to be aware of cultural activities, trade fairs and events that may interest your guests. You can also avail of possible opportunities to offer promotions and win recommendations for your hostel from local council departments, such as the tourist board. The most important task when carrying out your initial hostel plan is to get your ideas out of your head and onto paper. This task turns a dream into a goal. With this 5-step plan, you can implement a simple yet powerful route to shaping the success of your hostel business. Its thorough and meticulous execution will help ensure maximized prosperity. And in realizing this 5-step method, you will be well positioned to develop your subsequent business plan, as well as your marketing, distribution strategy and revenue management plans, all of which will prime your hostel for outstanding success.